Fats have been a completely foreign and contradicting aspect of health throughout the last few decades – especially for Americans. Year after year we’ve been told that fat is bad, to be afraid (very afraid) and to stay far, far away. Thankfully, times are changing and the truth is out. Healthy fats are actually beneficial AND essential when it comes to our overall health, starting at a cellular level. One fat in particular, tallow (specifically from grass fed cows), is a game changer. Not only is beef tallow a healthy cooking fat, but it also acts as a topical superfood for the skin! An article written by the Weston A. Price Foundation – a book of “recipes” for all facets of life, written by Dr. A.W. Chase, MD in 1866 – lists ten formulations of salve, eight of which contain tallow. 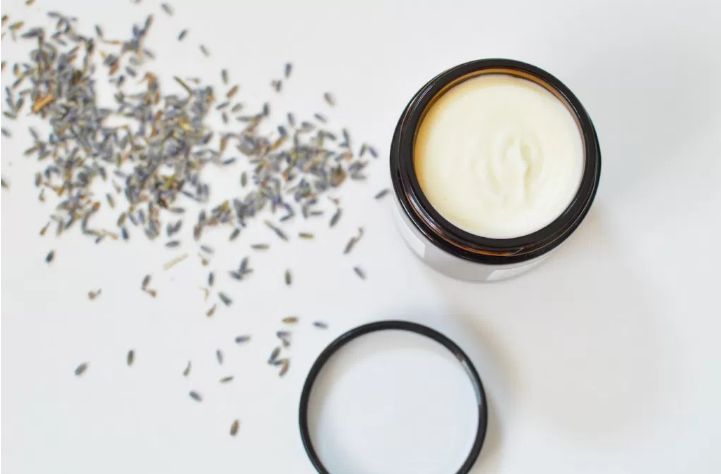 Tallow contains high concentrations of fat soluble Vitamins A, D, and K (in a balanced combination with their activators) which have a profound impact on skin + overall health. Grass-fed tallow also contains Vitamin E (four times as much as grain-fed cows! ), conjugated linoleic acid (CLA) which is anti-inflammatory as well as palmitoleic acid which has natural antimicrobial properties. Vitamin A – Encourages the production of collagen, elastin and healthy skin cells + strengthens tissue to keep skin firm, smooth and youthful while helping to heal skin issues from acne to aging. Vitamin D – Contributes to skin cell development, repair, metabolism and immune function + protects and rejuvenates skin by protecting against free radicals that cause premature aging. Vitamin K – Plays an important role in skin tone, texture and overall health + soothes skin inflammation and irritations while helping to speed up the healing process. Vitamin E – Powerful antioxidant that repairs and reverses free radical damage + deeply hydrates and promotes healing in skin’s appearance. Tallow is incredibly effective in improving skin cell health due to the similar makeup it has to our skin. Our cell membranes are made up of mostly fatty acids, with at least 50% being saturated fats. Tallow is also made up of about 50% saturated fats – with the remaining amount being monounsaturated – making it compatible with our cell biology and powerfully nourishing for our cell health. Another indication of its positive impact on our skin is it’s similarity to sebum (the oily, waxy substance that moisturizes, lubricates and protects the skin). Sebum is even translated to “tallow” in Latin! Both sebum and tallow are also mainly comprised of triglycerides (which have effective emollient + skin replenishing properties). It is readily absorbed by the skin (because of their similar structure) leaving skin looking radiant, rather than oily. Beef tallow has been a long standing tradition and powerful healing ingredient for centuries – which is why a number of our Primally Pure products contain this precious element. Our Lip Balm and Deodorant both contain a beautifying blend of responsibly sourced animal fats + organic plant oils that work together to deeply moisturize and nourish the skin. Our skin needs these nutrients and fats together in order to stay healthy, elastic and balanced. Remember! It’s crucial to choose tallow from grass-fed cows, and to stay far away from tallow from conventionally-raised cows, as toxins from poorly raised cattle often settle in their fat tissue – gross! Beef tallow for beautiful skin doesn’t seem so strange anymore does it? Try it out, your skin + whole self will be better because of it!